Polished she’s not, but the Millennium Falcon is undeniably one of the most recognizable and iconic cinematic spaceships of all time. 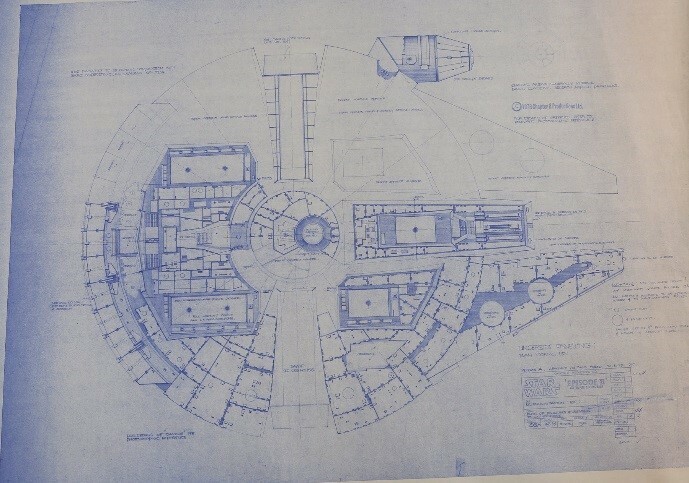 Though often appearing haphazard and improvised, this blueprint lot shows the underside of the Falcon’s battle-tested exterior in great detail. 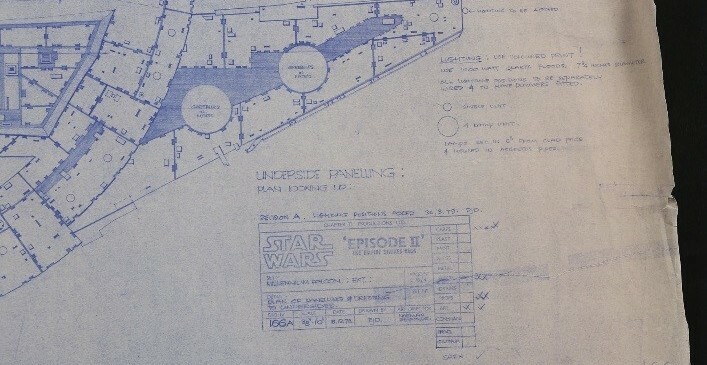 The plans even contain notes on lighting and greeblies placement, making this lot invaluable to any Star Wars fan looking to shave a couple Parsecs off their next adventure. Say what you will about BB-8 or any number of other loveable droids in the Star Wars universe, but nothing can take away from that iconic, white and blue sparkplug known as R2-D2. 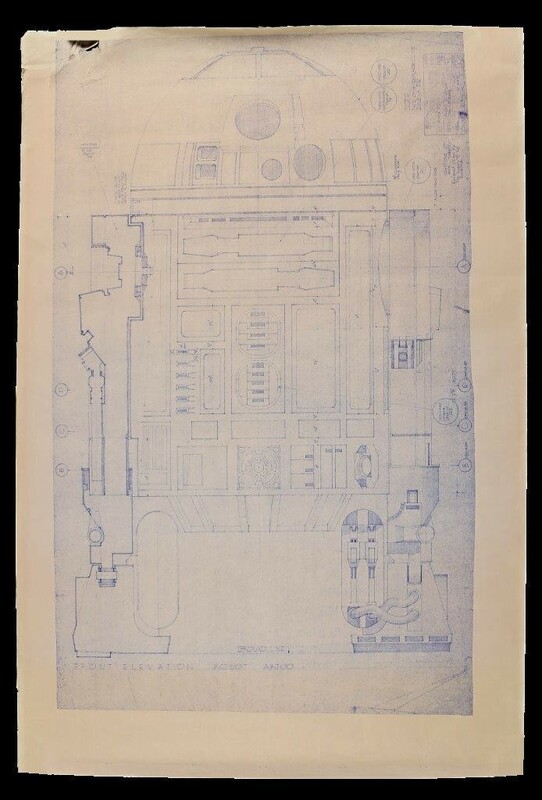 This blueprint lot is a rare look at R2’s front elevation as originally envisioned by production during the very first Star Wars film. 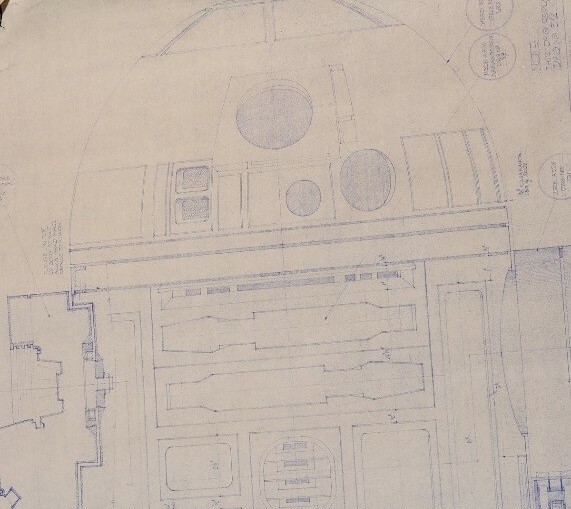 R2’s design is by no means a secret, thanks to the legions of fans who have dedicated their time and effort to replicate him, but the specificity of the measurements and the notes from production make this print a rare treat to fans. R2-D2 is not just beloved for his unforgettable look, but as a functioning Astromech droid, he is a rolling Swiss Army knife of helpful tools and sequence-stealing action. This lot details several of R2’s accessories as designed for The Empire Strikes Back, and while some are immediately familiar (check out that periscope! ), some of these designs never made it off the page. R2’s vacuum attachment is probably our favorite. Though we like to see the Light Side of The Force triumph over the dark, it’s hard to ignore the fact that the Dark Side has some pretty great gear. 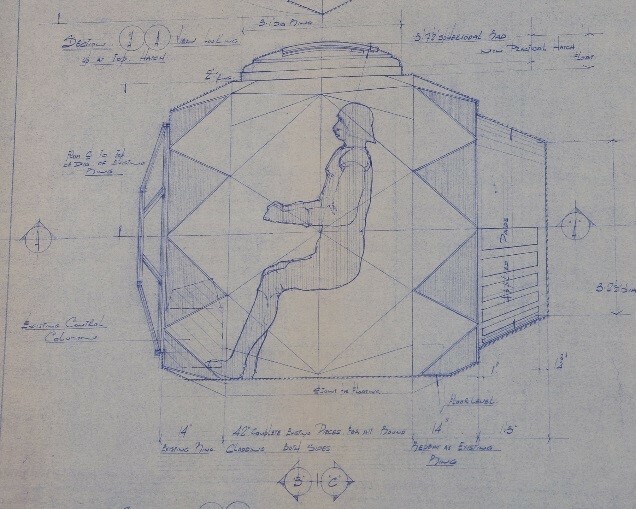 This lot is a great example, showing designs design for the cockpit of an Imperial TIE Fighter. Even without the square wings, the vehicle is instantly recognizable, and is made even cooler by Darth Vader’s image as the pilot reference. 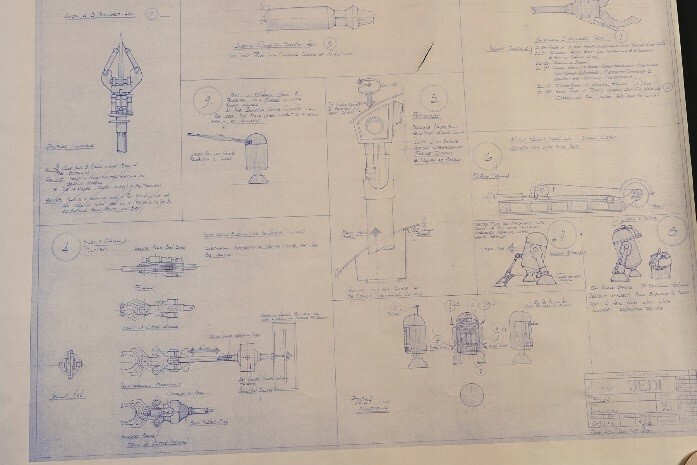 *The blueprints in this auction are copies take from a production-used original. The pieces were printed over twenty years ago as part of a publishing project that was never realized. 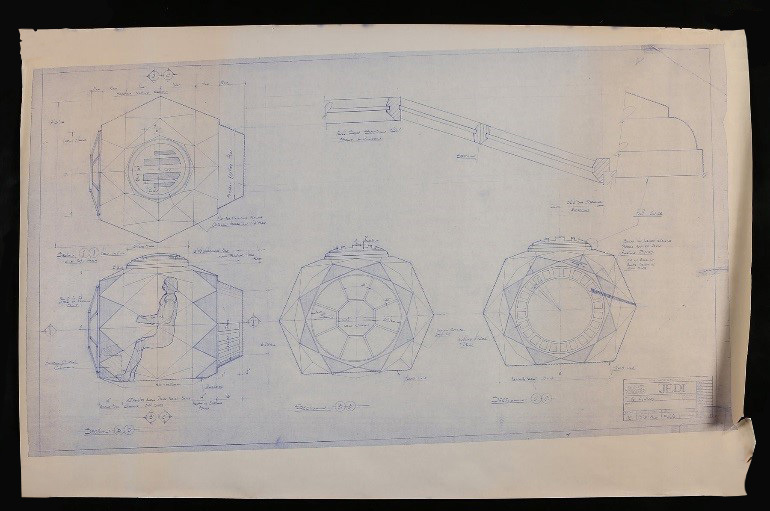 These lots and many more are open for bidding in Prop Store’s Star Wars & Star Trek Blueprint Auction, with lots closing April 28th. 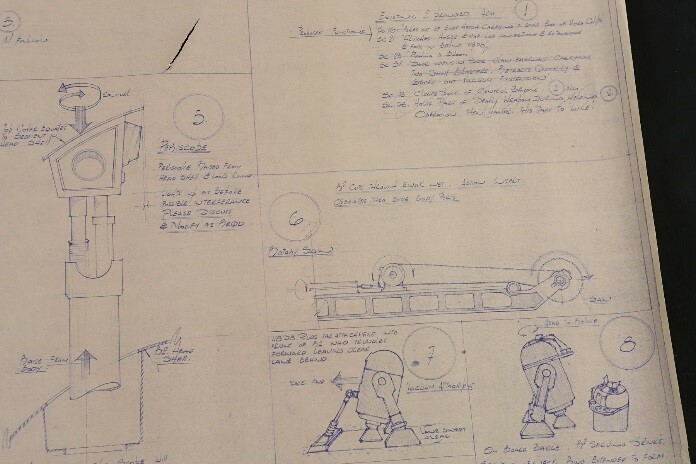 Thank you for joining us for our Star Wars & Star Trek Blueprint Auction blog coverage and be sure to check out our other articles in this auction series! The Dark Side has some pretty great gear! Grеat article, totally what I wanted to find. Thanks for sharing!